In the late 1970s, the musicians of the city saw a great opportunity to be seen and heard in the corridors of the Montreal Metro. Police and security officers at the time did not welcome newcomers with open arms, and the musicians are forced out of the subway. While they played cat and mouse, some of them were less fortunate and received tickets for playing music illegally in the subway. Among them, a certain Grégoire Dunlevy, who, having received three fines of $100, $500 and $1000, decided to form the first metro musicians association with Gérald Cabot and two other collegues to organize the metro musicians scenes. Meanwhile, TV personality Guy Sanche (Bobino), spoke in favor of musicians at the Place-des-Arts so they could have a place to play stating they are part of the culture of Montreal. From that moment, Place-des-Arts became the first station where musicians could play without the intervention of security agents. After three years of sustained effort and a petition with over 10,000 names, they succeeded February 3, 1983 to play regularly in the metro. The first committee was formed with Grégoire Dunlevy as president, and treasurer Gérald Cabot. It was not until 1986 the blue plaques with white lyres would be installed on the walls of the metro stations to indicate the musicians spaces. These signs attracted musicians from all around the world to come play in the big city. Grégoire Dunlevy remained president until 2006. Dino Spaziani took over in February 2009 because ever since the departure of their leader, the situation for musicians started deteriorating more and more. Le Regroupement des Musiciens du Métro de Montréal (RMMM) was then created with new rules, new spots for musicians, a charter, a nonprofit mandate, a well-structured committee, a new wind, nearly 150 members, an enormous amount of work. January 2011 – A new committee was formed with Dino Spaziani as treasurer, Daniel Lalonde, Stéphane Lemieux and other members. 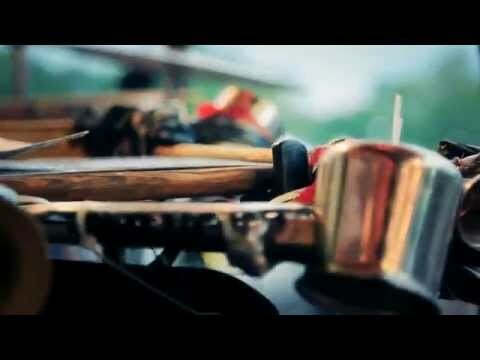 During the month of February, Daniel offered the committee to put on a show to showcase the quality of the metro musicians. He asked Dino Spaziani to help him. The first step was to find a venue. The latter offers the Café Campus. This leads to the rehearsals and creativity workshops for Station Campus 1, the first show of RMMM that was held March 20, 2011. April 2011 – Following the show, the STM representatives who were present offer a meeting with the RMMM to improve the quality of the musicians in the busiest subway stations in Montreal. May 2011 – Daniel Lalonde moved from vice-treasurer to vice-president . Negotiations start between the RMMM and STM . The Executive Committee of RMMM submits the project to its members at a general meeting. Finally, all vote in favor of the partnership. End of January 2012 – The first auditions for the “Étoiles du Métro”. February 26, 2012 – Auditions for the Regroupement des Musiciens du Métro de Montréal. 7 March 2012 – Launch of the Étoiles du Métro 2012 program and presentation of banners ARTV Studio. Finally, the implementation of the partnership between the RMMM and STM. September 2012 – Following the success of the pilot project , the STM decided to continue the project ” Star Metro ” in 2013 with 60 stars instead of 40 . 28, 29 and November 30, 2012 – Étoiles du Métro 2013 auditions at ARTV Studio. April 21, 2013 – Station Campus 3 with Mike Sawatzky, Benoît Piché and Benoît Gagné of Colocs. April 13, 2014 – Station Campus 4 with Bernard Adamus and Sèxe Illégal. 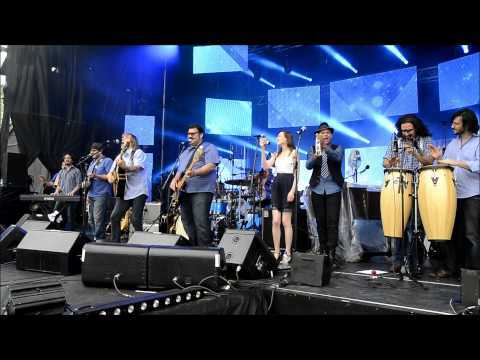 June 24, 2014 – St-Jean-Baptiste Day at Parc Maisonneuve with Les Étoiles du Métro. 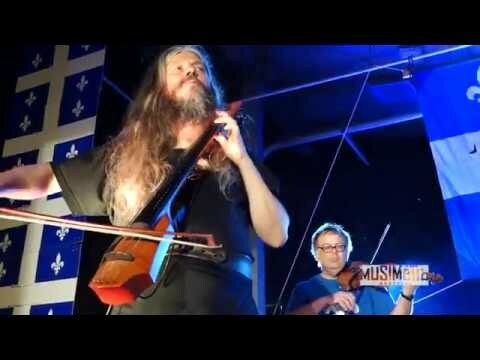 June 24, 2015 – St-Jean-Baptiste Day at Montréal’s ‘Grande scène de la Place des Festivals’ with Les Étoiles du Métro. June 24, 2016 – St-Jean-Baptiste Day at Montréal’s Parc de la Promenade-Bellerive with Les Étoiles du Métro. Summer 2016 – MusiMétro musicians played in underground spaces and on outdoor public property throughout the city. They performed at multiple shows and performances, including festivals, sidewalk sales, providing musical entertainment in various locations. Prominent customers of MusiMétro include STM, several SDCs (commercial development societies), Committee of Quebec National Day, Quebec’s Food Truck Association, Les marchés solidaires, Promenade Fleury, Ma Plaza (St-Hubert), Crescent Street merchants.